Temple of Equal-to the Apostles Prince Vladimir and Vladimirskaya Tower, Novgorod Kremlin. The wooden one-dome church was built on this site to celebrate the 1000th anniversary of the repose of Prince Vladimir. Vladimir Tower - XV Century. 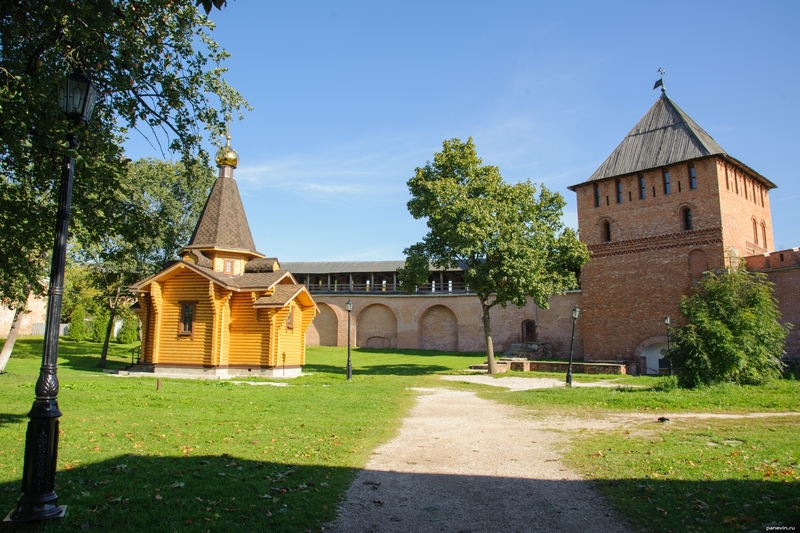 Blog, posts attractions, churches and cathedrals, fortification, fortresses, Novgorod Kremlin, Veliky Novgorod, wooden architecture.